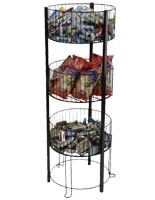 This 4 tier basket stand provides a decorative wire display with large round open top bins to hold an abundance of merchandise. 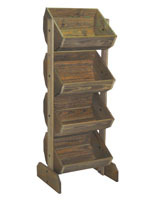 Whether each floor standing unit is utilized to showcase garden essentials, home accessories, produce, fruit, or retail products the compartments rotate individually allowing multiple parties to view items at once. 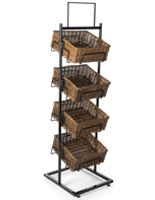 Assembly for the basket stand display is quick and easy, creating a knock down rack that can be packed and stored when not in use. 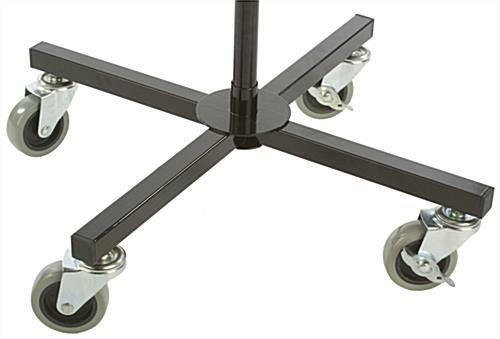 Optional casters are provided with 2 locking wheels, as well as 4 levelers if a more stationary decorative wire unit is desired. 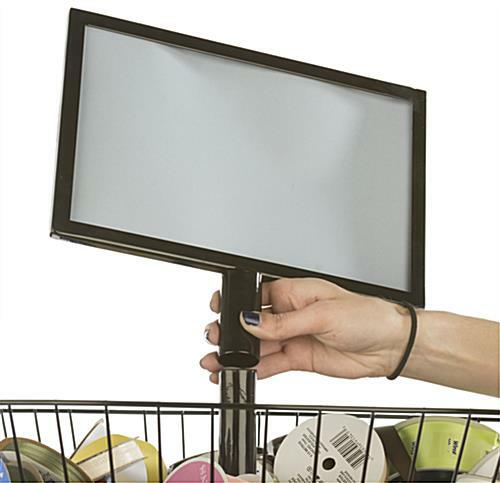 Direct attention to deals, discounts, and specials for customer’s to browse with a removable top header. 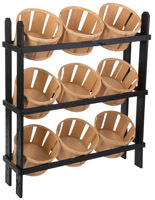 Create a unique display that allows clients to sort through products within each black bin which spins individually on each basket stand. 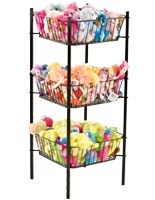 Have not been able to use the rack because it came in damaged. 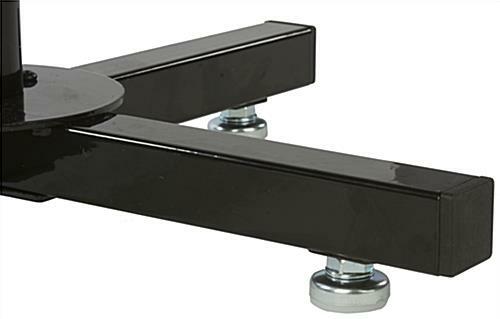 Hi Harry, We are sorry to hear about your display rack. We will have a customer care specialist reach out to you.